In 2018, Ferrari and Red Bull are gearing up to regain their speed and Mercedes is clearly feeling that pressure. After four years of Mercedes dominance, performances are converging even if the Anglo-German team is still holding the reins. Mercedes-Benz has a stunning statistics in Formula One. Up until 2017, it won 50 per cent of Constructors Championships, 60 per cent of Drivers’ Championships during its active years as works team. 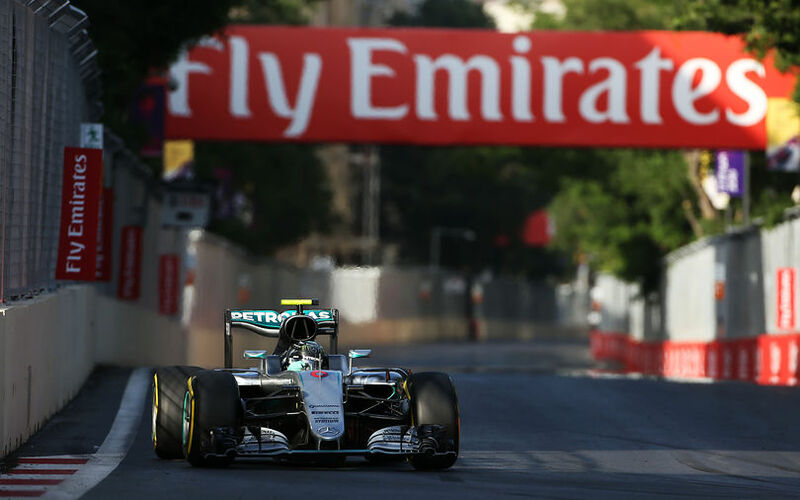 Of the races it contested in, Mercedes has a winning percentage of 44.4 per cent. Mercedes-Benz is completing its eleventh championship year as a works team. In 1954, it joined the championship under the leadership of Alfred Neubauer, using the technologically advanced Mercedes-Benz W196. The car was run in both the conventional open-wheeled configuration and a streamlined form, which featured covered wheels and wider bodywork. In its first championship year, the team’s hero Juan Manuel Fangio won four of the six races he contested in and went on to become the champion. Next year saw Fangio dominating the sport even more. The Argentinian completed six rounds, won four races, finished one round in second place and retired from one event. With his commanding run of success, the former Alfa Romeo and Maserati driver secured his next championship title. The 1955 disaster at the 24 Hours of Le Mans on 11 June, which killed Mercedes-Benz sportscar driver Pierre Levegh and more than 80 spectators led to the cancellations of the French, German, Spanish, and Swiss Grands Prix. At the end of the year, the team decided to withdraw from Formula One. After a long absence from the sport, Mercedes-Benz returned as an engine supplier in 1994 in partnership with Ilmor, a British independent high-performance autosport engineering company with its manufacturing centre based in Brixworth, Northamptonshire. After acquisition by Mercedes, the company is now called Mercedes AMG High Performance Powertrains. In 1994, Mercedes supplied the Sauber team, but that partnership only lasted one season. The German manufacturer switched to McLaren and commenced a collaboration which ended in 2014 and which saw the two parties securing a long run of success. The Mercedes name as works team returned to Formula One for the 2010 season after their owners, Daimler AG, bought a minority stake (45.1%) in the Brawn GP team with Aabar Investments purchasing 30% on 16 November 2009, with Ross Brawn continuing his duties as team principal and the team retaining its base and workforce in Brackley, close to the Mercedes-Benz Formula One engine plant in Brixworth. In the period between 2010 and 2012, Mercedes was competing with the great Michael Schumacher and the rising star Nico Rosberg. The squad went on to secure the fourth place in the Constructors’ Championship in 2010 and 2011. The next year saw the team slipping back one place in the rankings. In 2013, Lewis Hamilton joined Mercedes, replacing the retiring iconic Schumacher. That year, the duo of Rosberg and Hamilton helped the team to end the year on second place. When the sport introduced a new engine formula the following year, Mercedes started a winning streak. It double-hybrid powertrain has been a class of its own thanks to its superior reliability, efficiency and peak power. The graphs show that Ferrari and Red Bull have been playing second fiddle to Mercedes over the past years. The Maranello-based and Milton Keynes-based squads managed to take advantage of Mercedes’ rare failures, but they have never been real contenders for four long years. However, 2018 saw Ferrari closing in on Mercedes, erasing the gap to the field-leading Anglo-German team. Ferrari’s SF71H features a long list of departures from its previous aerodynamic concepts and also a heavily-upgraded power unit. This year, the Ferrari engine is believed to be a match to the Mercedes power unit developed by the Andy Cowell-led group. The Italians’ engine performances on straights, especially out of corners prompted suggestions that it became the field-leading PU in terms of peak power even if Mercedes’ EQ Power+ still holds the advantage regarding the reliability. Of ten races in the 2018 World Championship, Ferrari won four rounds, Mercedes and Red Bull both have three triumphs. The reigning champions’ car, the W09 has showed flashes of dominances in some races like the Spanish or French Grand Prix, but had to operate at its maximum in a series of races. Its downforce in high-speed turns is just stunning, its engine advantage over Renault and Honda is still ominous, its PU reliability is wonderful, so it remains to be seen whether Ferrari can cling on its fierce rival all through the season or Mercedes can pick up its pace and run away with its fifth consecutive Drivers’ and Consructors’ Championship titles.